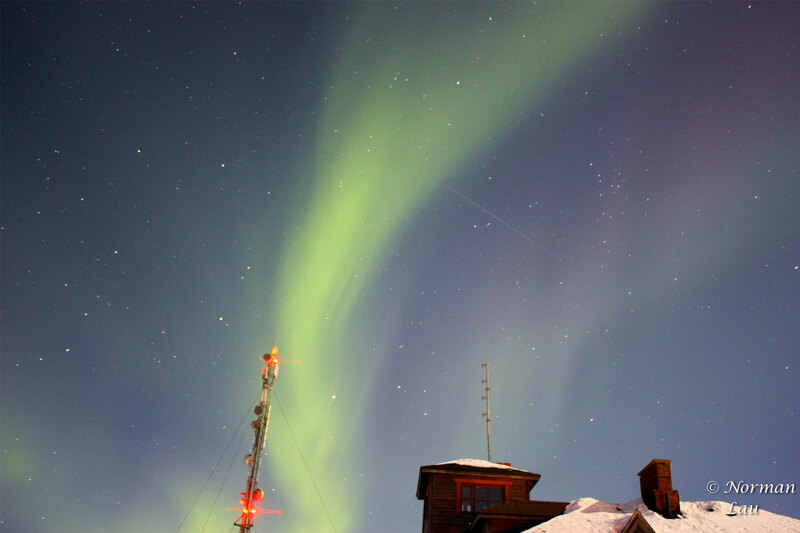 Do you know when northern lights kp is low, it is actually white, like clouds…. when we see it with our naked eyes?Only when we take it with our camera then it will be green?Don’t be surprised, alot of people did not know that fact. Thus, i decided to write this post, to let you better understand what you need to expect before your trip to avoid disappointments.So follow me through the post and you will be very well prepared for your northern lights trip and know what to expect! Finland, Iceland, Norway and Sweden are some of the top places to visit and also without fail, to catch one of the most natural occurring scientific phenomenon of Earth, the Northern lights, also known as Aurora Borealis. So how do you enjoy this amazing sight out in the cold? Here I have gathered some tips based on my experience! Enjoy! You will need lots of luck! This is just like watching how animals behave in the South Africa. It is nature, but only this is a bit better because if the following 3 conditions are met, faster prepare your camera! It might just appear anytime! The surroundings you are in have to be as dark as possible, get away from any source of light, even a street light can interfere with your Northern Light experience. How to know if the place you are in is dark enough? You must be able to see lots and lots of stars! If it is rainy/snowy, this means that it is very cloudy which means that you need to pray very very hard the sky clears in the next few hours. If it is partly cloudy, it would mean a 50/50 chance, if you can find the hole in the sky you might have chance. What is Kp index and where to check? It range from 0(min) to 10(maximum). Thus, for Kp index above 2 the lights can be quite visible with the clear sky. And the position of the Aurora Ovation Oval (light radius) is right above the country you are in. As you know, the Earth orbits around the sun, hence, depending on which country you are in and at different timings, you will get to see different intensity of the lights. The key to seeing the different colours of lights dancing above your head is to have the Aurora Ovation Oval right above the country that you are located in! Go to this link to press play either for the northern or southern hemisphere and watch the top right time run as the earth orbits. 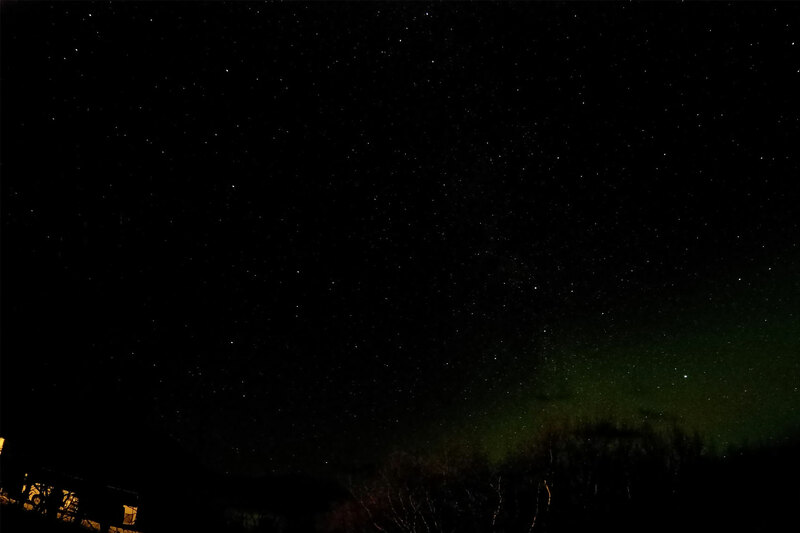 The picture below shows the Northern Lights at 20.45UT(Universal time) above Russia,the Scandinavian countries like Finland, Norway and Sweden and also Iceland. 2. Applications and links to check the Northern lights Forecast. How to use: from this website, you can see the cloud cover prediction for Iceland, the areas on the map that have white represent clear sky and those that are dark represent cloudy sky. So by clicking the left and right arrow below you will be able to see the clouds cover at different time. 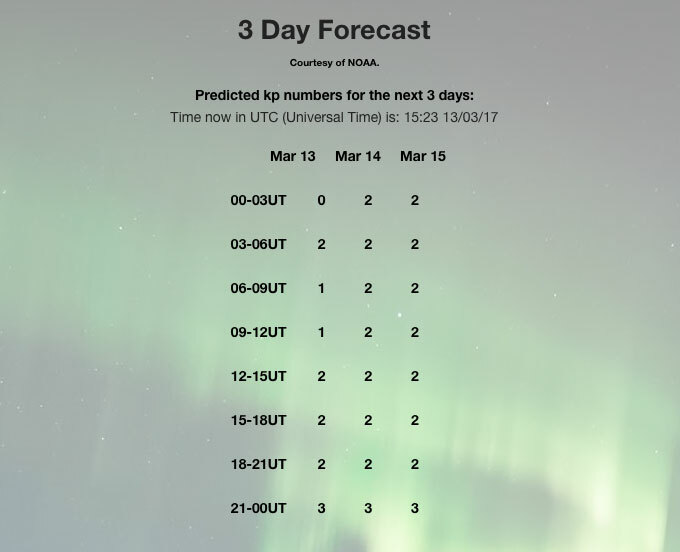 The top right represent Northern lights forecast’s kp index. 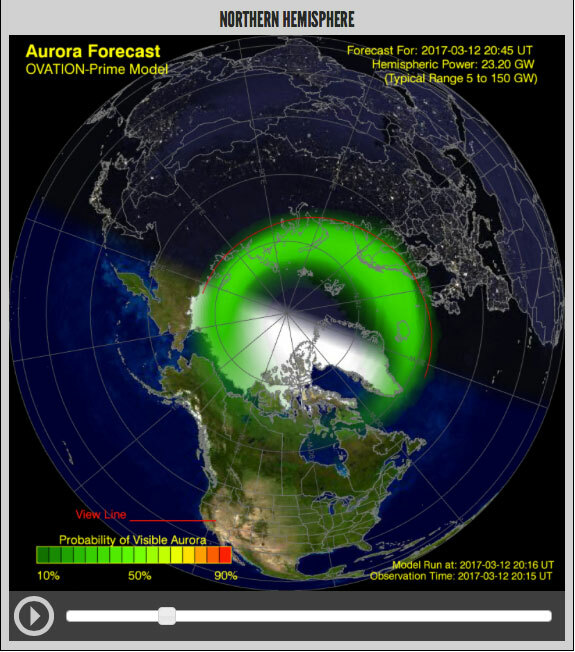 For Finland, you can download the app call My Aurora Forecast for mac, for andriod at this link. For Norway you can download the app call Norwaylights by clicking on the link. p.s taken in Sweden abisko national park with goPro5. When you are out in the cold to take photos of the Northern Lights, it is crucial that you know your camera well so that you will not fumble when you want to take photos of the Northern Lights when it appears right before you. Because when you are out in the cold and it can be so cold that you are not able to feel your fingers, so you need to get acquainted with your camera. So what kind of camera should you choose that suits you best? There are few options that you may consider. p.s. taken by goPro5 in Iceland. Once you have your camera, get a remote for your camera and a tripod as well. This is EXTREMELY EXTREMELY IMPORTANT that I could not emphasize further because you do not want your photos to appear shaky or blur. A good tripod and a remote is definitely is must. 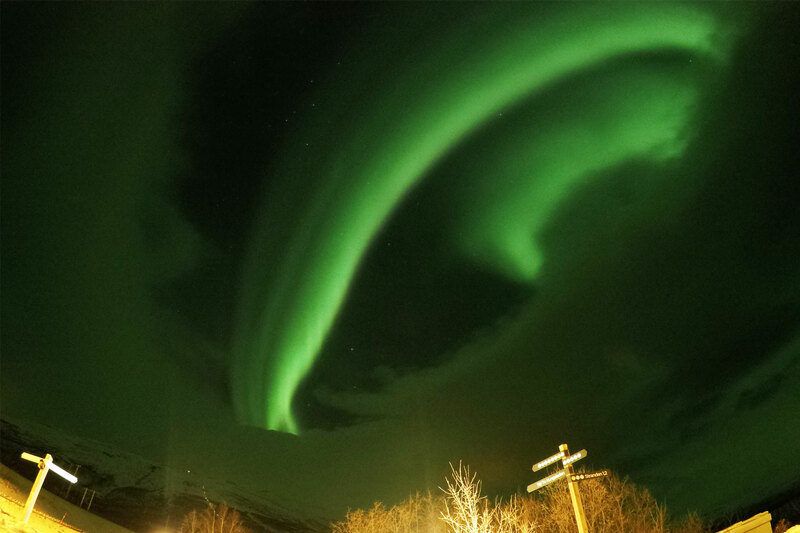 When the kp index is low, for example kp index 2, the Northern lights appear like clouds to the naked eye, moving vertically upwards, sometimes you might not know even when you are looking at it. But, nevertheless, still pray for the high kp index! The right timing does matter, the best season / period to catch the Northern Lights is from September to March. Rumors about it diminishing are a myth. It is just expected to appear less frequent. Northern lights take place at the peak on an 11-year solar cycle. 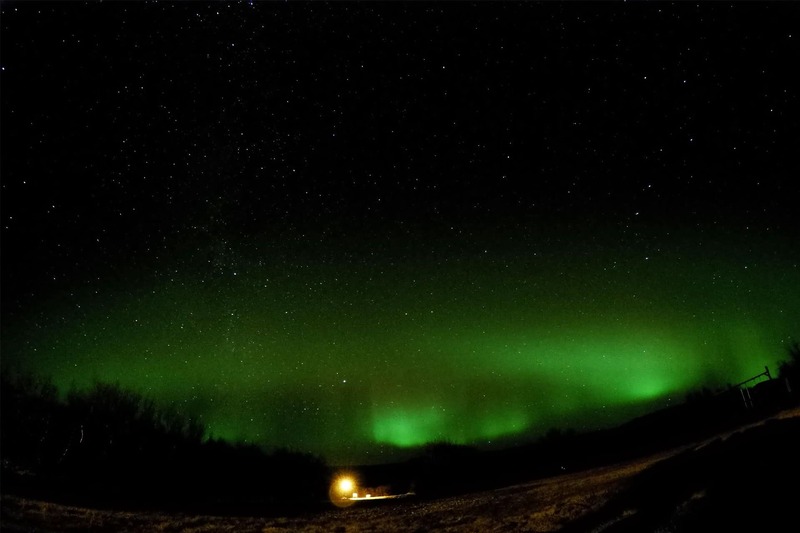 The Northern lights appear when there are solar eruptions on the Sun. The intensity of the Northern lights depends on how massive the solar eruptions are. The eruptions may occur erratically and unpredictably. The peak of the Northern lights were at 2014, we are currently experiencing a downward cycle heading into year 2020(lowest) and the next peak is at year 2025. My two cents take away after multiple trips to see the northern lights, these are the months i observed with high probability.Had been observing the best months for northern lights for 2 plus years and talked to local guides and also the statistics from the groups that came back.Why i said my two cents take away as it is really dependent on weather. Finland : Sept,October,March (longer daylight hours,not so snowy as snow means clouds…) – I saw 5 nights straight in March last year. BONUS TIPS WITH GOPRO HERO!!!! The challenge about taking still photos of the Northern lights with a GoPro HERO , is to take photo of yourself together with the Northern lights in the background. You will need to have a good spotlight to shine on yourself but not too bright until you can’t see the Northern lights in your photos. Get someone to shine an external light on you so that you can take photos of yourself together with the beautiful Northern lights. For me, I used my iPhone camera light to shine on my lower body to illuminate myself in the photo. 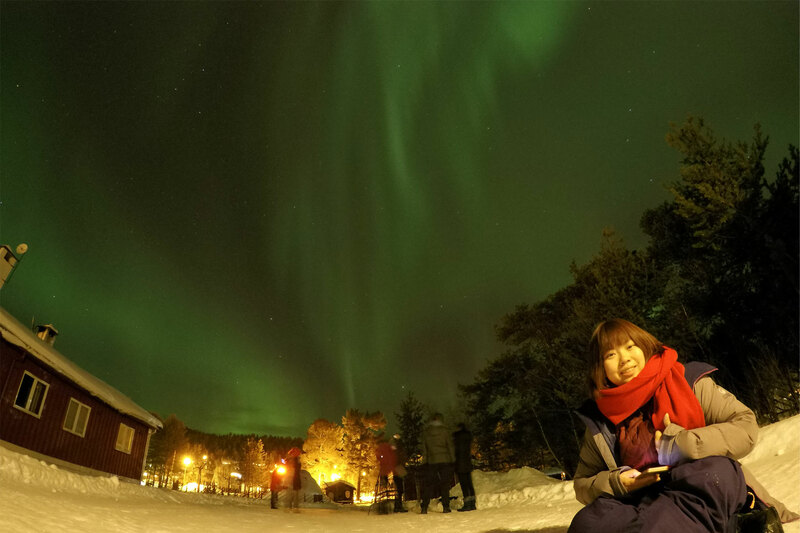 Having done that, adjust the settings of your GoPro HERO camera, the shutter speed should be 15 to 20sec, and because of the timing, you should stay PERFECTLY still when you click the shutter button because you would want a clear, well-lit photo of yourself together with the Northern lights! 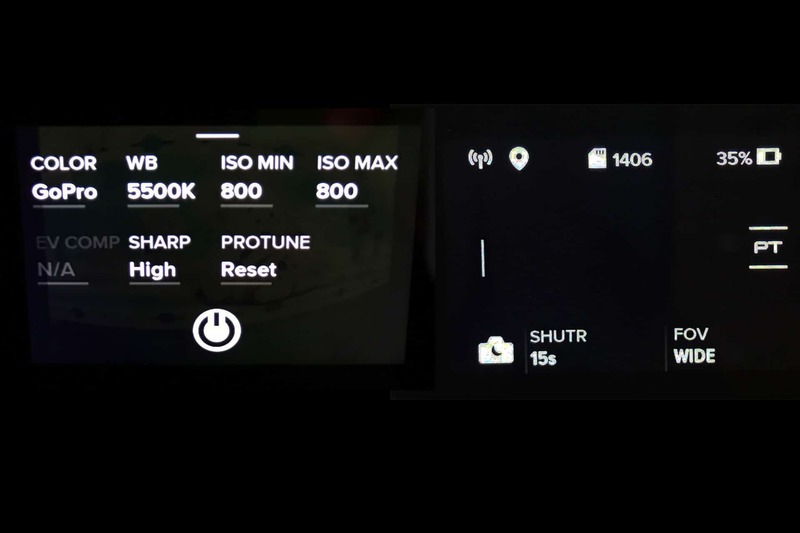 p.s settings for gopro5,photo>night mode>shutter 15s or 20s,PT as above. Now that you have gathered all the precious and important information, book a trip and start hunting! GOOD LUCK! ← A day in Melbourne that is Local, Romantic and Relaxing. A day in Melbourne that is Local, Romantic and Relaxing.